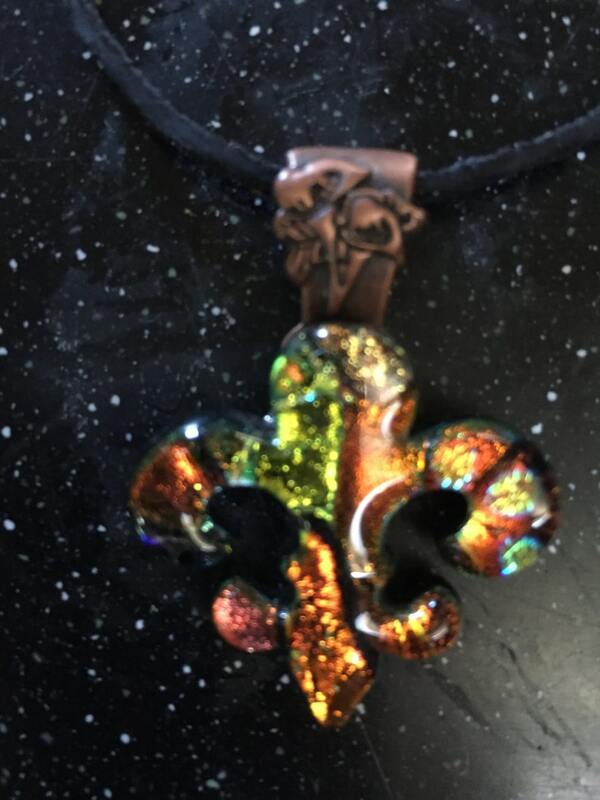 Fleur de lis dichroic glass pendants. handmade and fired in my kiln in Oceanside California. please indicate what color scheme you would like I have approximately 50 and it's available in different color arrangements. Also specify what color and length of the necklace you would like. 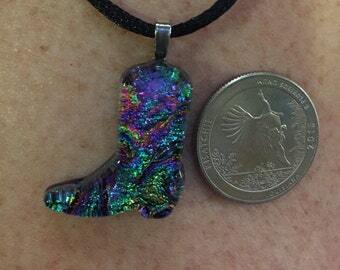 I can also add dangles to the pendants at your request.